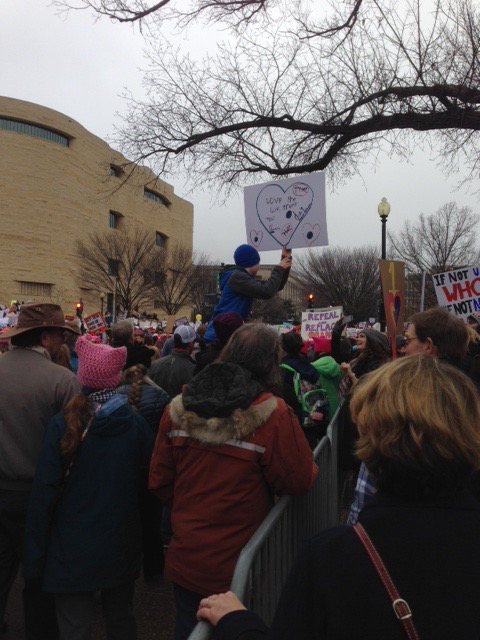 Just returning from the Women's March on Washington, January 21, 2017. 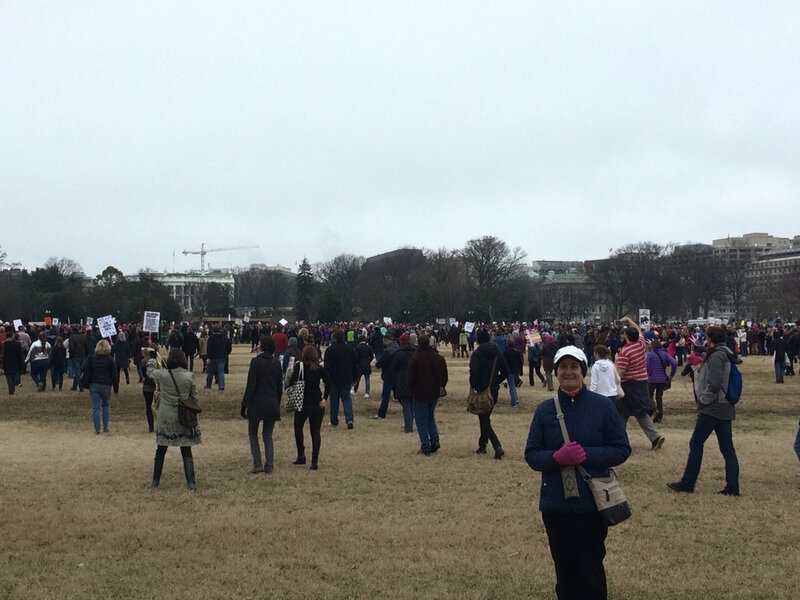 We couldn't hear much or see much, partly because the crowd was many times more than expected. Protests were part of Julia Wilbur's world, but not protest marches. She attended mass meetings to support abolition and suffrage held in public halls and churches. Rochester had many such activities, and I thought of her when I talked with two fellow marchers from Rochester. Twice Julia Wilbur attempted to register to vote in the District of Columbia--knowing in advance that she would not succeed but to call attention to the inequality. The parade, calling for a constitutional amendment, featured 8,000 marchers, including nine bands, four mounted brigades, 20 floats, and an allegorical performance near the Treasury Building. Though the parade began late, it appeared to be off to a good start until the route along Pennsylvania Avenue became choked with tens of thousands of spectators -- mostly men in town for the inauguration. 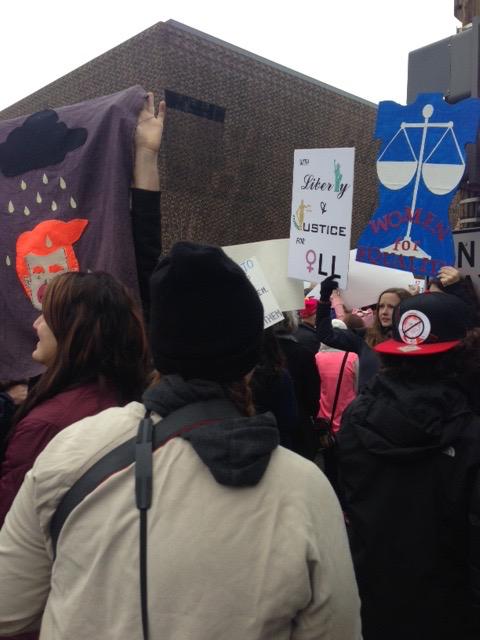 Marchers were jostled and ridiculed by many in the crowd. Some were tripped, others assaulted. Suffrage came 7 years later. So, back to Julia and trying to project the views of a 19th century woman to 2016 (not always a great idea). She would have had a bit of trouble with the more sexual in-your-face signs. But she would have stood, marched, and cheered, I am sure.